MCLEAN, Va., Feb. 7, 2011 -- Northrop Grumman Corporation (NYSE:NOC) has named Kelley Zelickson vice president of Air and Missile Defense Systems for the Defense Technologies division in the company's Information Systems sector. Zelickson will lead a team of professionals to provide integrated air, space and missile defense solutions to the U.S. Missile Defense Agency and the U.S. Army for the national security of the United States and its allies. Zelickson reports to Karen Williams, vice president and general manager of the Defense Technologies Division.Â "Kelley's impressive record of management and performance will effectively guide our air and missile defense business as it provides best-in-class solutions that assist our customers in the defense of our country," said Williams. In this role, Zelickson provides overall leadership, management and execution of strategic initiatives, as well as directs and integrates the strategy and programs within the Information Systems sector in support of air and missile defense missions. Primary areas of responsibility include the Missile Defense Integration and Operations Center, the Integrated Air and Missile Defense Battle Command System, the Fire Control/ Communications System of the Ground-based Midcourse Defense program, the Missile Defense National Team activities and the Enhanced Command, Control, Battle Management and Communications experiments for the Missile Defense Agency. Previously, Zelickson was vice president of programs for Northrop Grumman's Defense Systems Division where she was responsible for ensuring the operational excellence and performance of the division by providing independent oversight of programs acquisition and performance. She also held various management roles within Northrop Grumman's former Mission Systems sector as vice president and deputy general manager for the Command and Control Systems Division andÂ vice president and general manager of the Tactical Systems Division. During her 30-year career with Northrop Grumman, Zelickson has held various program management and engineering analysis roles as well as positions of increasing leadership supporting a broad range of initiatives for the defense customer segment. Zelickson earned a bachelor's degree in engineering science and mathematics from Vanderbilt University, Nashville, Tenn., and a master's degree in industrial and systems engineering from the University of Alabama in Huntsville. 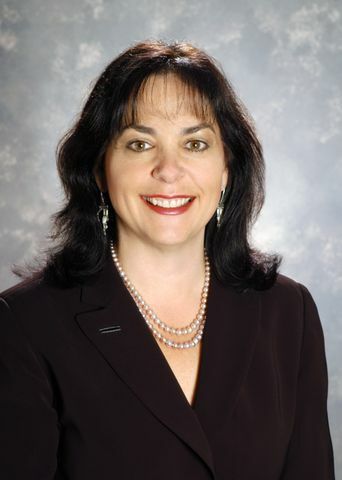 She is a member of the Army and Space Missile Defense Association, and serves on the Board of Visitors for the Vanderbilt University School of Engineering, the Advisory Board for the School of Engineering at the University of Alabama in Huntsville, and the Board of the North Alabama Arthritis Foundation.